Whether it smells like apple pie or the forest after a rainstorm, the candle sitting in your living room is probably made of paraffin wax. Paraffin wax is pretty common — it's used in crayons and beauty products in addition to most commercially produced candles. But this type of wax is petroleum-based, and studies show it emits toxic chemicals like toluene and benzene. 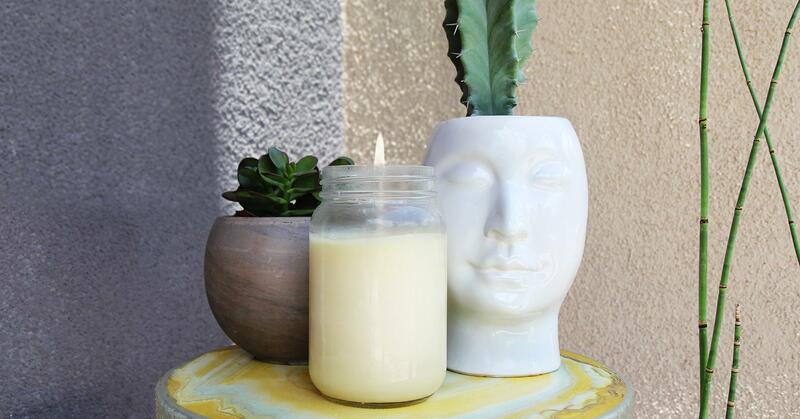 Lighting a paraffin wax candle is unlikely to pose serious health problems, but there are cleaner, natural alternatives to this popular candle base. 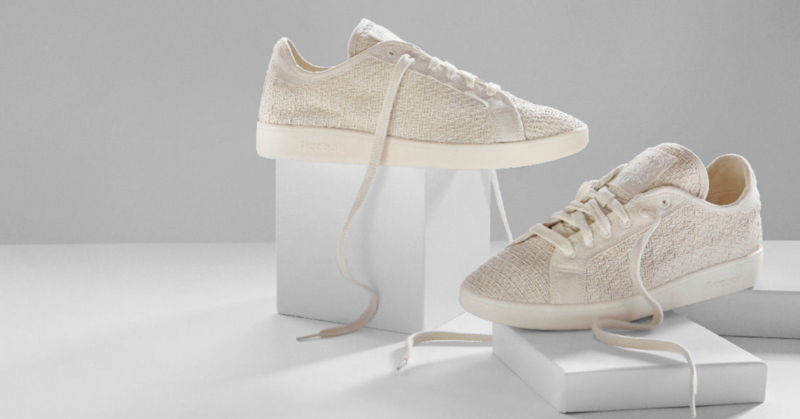 One of them is beeswax. You can find beeswax in craft stores or through local vendors; it comes in solid blocks or packs of pellets (sometimes called "pastilles"). And once you have some, it's incredibly easy to melt down into your very own candle. That's the craft we'll be tackling today. Since it's now summer and bugs are out for blood, this candle also contains citronella oil, a natural mosquito repellent. Beeswax, citronella oil, mason jar, candle wick, and hot glue (you can also buy a jar with the wick already attached, which saves you a step and two supplies). If you purchased separate candle wicks, attach one to the bottom of the jar with hot glue. Press firmly to secure and then set it aside. Measure your beeswax into a heat-safe measuring cup or small mixing bowl. If you’re aiming to fill a standard pint-sized mason jar, portion out about 12 ounces. Create a double boiler. Because wax is so flammable, you can’t melt it directly in a pot over the stove. You’ll need a double boiler to keep your kitchen safe, but don’t worry if you don’t have one: you can DIY one on the fly. Start by filling a medium saucepan about halfway with water. 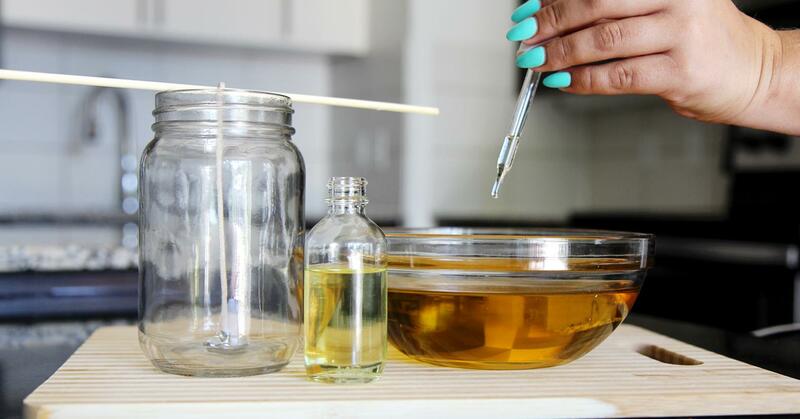 Place the measuring cup or mixing bowl with your wax inside the saucepan, so it floats along the top. Then boil the whole thing on medium-high heat. Watch and wait. 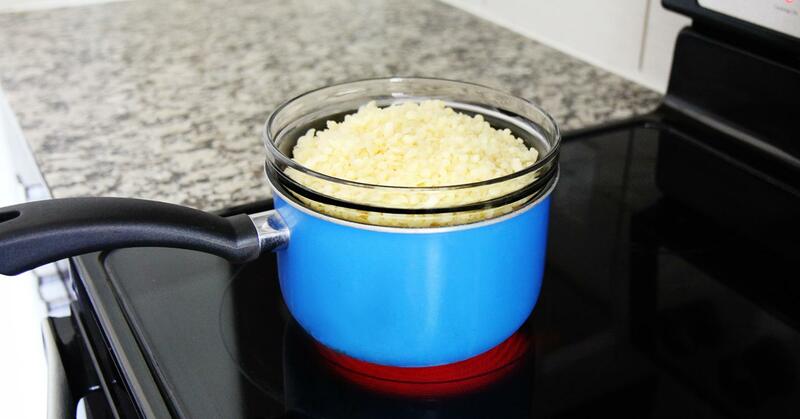 Melting the wax can take a while, but you need to keep an eye on that double boiler to avoid any fire hazards. There’s no need to stir, or really do much of anything. Just expect to wait up to an hour. 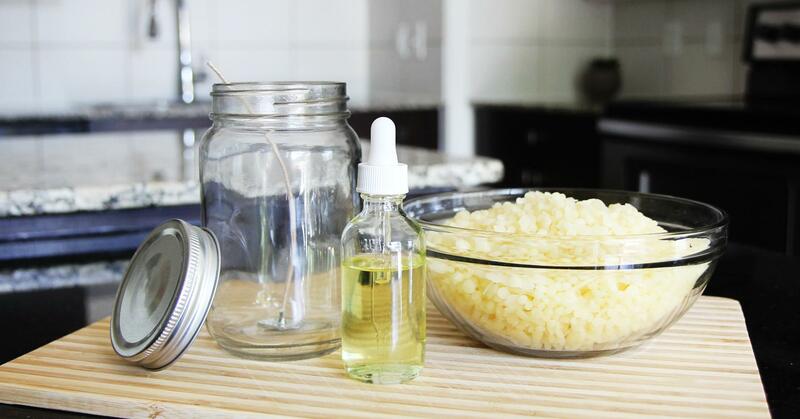 Once the wax has completely melted, turn off the heat and add 3-4 drops of citronella oil to the liquid. Carefully pour the wax into your mason jar. If your wick has some extra length, secure it first by tying it to a pencil or chopstick (shown below). 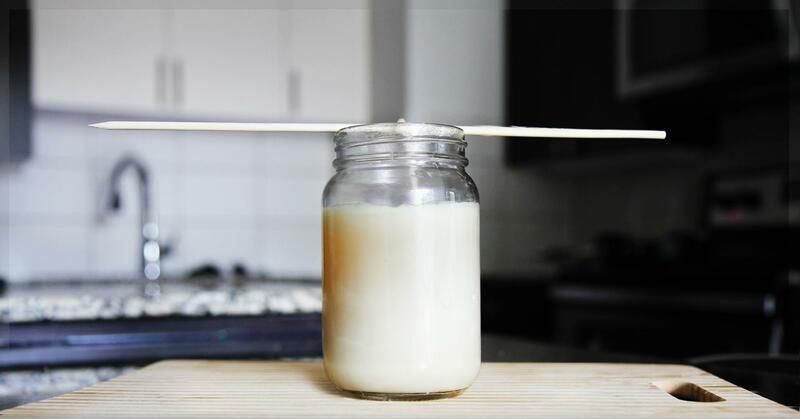 If your wick is shorter and fairly sturdy, you can pour the wax straight in. Just place a pencil or chopstick along the mouth of the jar, so it props the wick up as the wax dries. Let the candle cool for 48 hours. Do not store the jar in a chilly spot during this time. You want the wax to dry evenly, and an extreme drop in temperature from the stove to the jar will cause cracking. So try to find a warm spot for your candle to cool. Some candlemakers even heat their jars on the lowest oven setting while their wax is melting, to lessen the impact of the temperature change. Light your new candle. The citronella oil will help ward off bugs, while the natural beeswax will keep the air nice and clean. Everybody wins, except maybe the mosquitoes, who’ll have to find their food elsewhere.